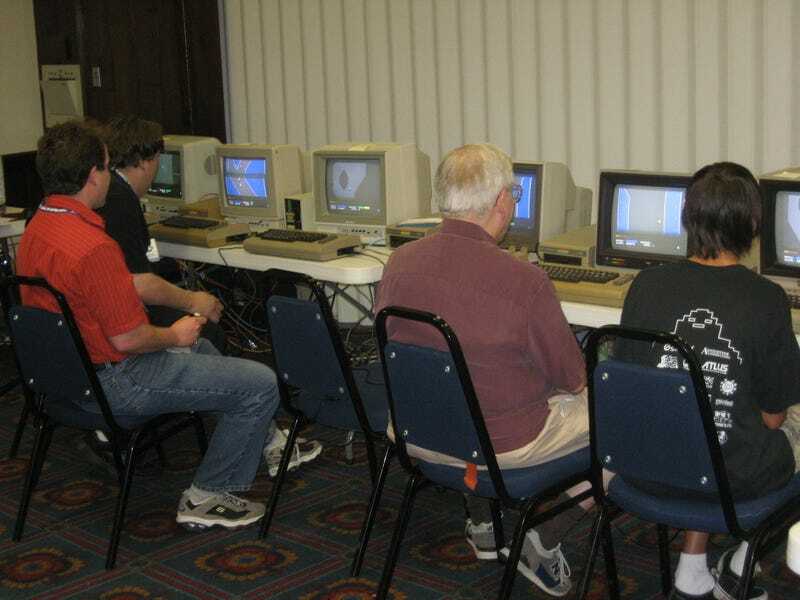 A Commodore 64 Expo was held recently, where attendees dusted off their Commodore 64s, networked them together and had an old-fashioned LAN party to play NetRacer - a new C64 racing game that supports eight people over internet or LAN for the first time. Organized by the Cincinnati Commodore Computer Club in Fort Mitchell, Kentucky (!? ), the event was attended by the likes of Dragos, Dopple, Elwix and Snogpitch.